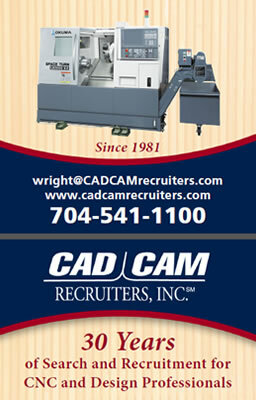 As a result of one thing or another, CAD/CAM Recruiters has several cnc service technicians needs we have been asked to look for. Some were discovered by accident while speaking to one client or another about a given candidate who would tell us, "no, we dont need that but we can use..x"..
8-cnc field service. Midwest based co. needs seasoned tech. doesnt have to be based in Charlotte but GBO to atlanta corridor is a must.